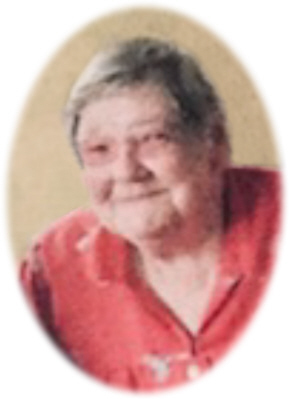 Mary Elizabeth Higley age 84, of St. Louis, MI, passed away Monday, March 18, 2019, at Schnepp Health Care Center. Funeral Services will be held at Smith Family Funeral Homes, St. Louis, MI, on Friday, March 22, 2019 at 11:00 A.M., with Pastor Rick Lopez officiating. Private Internment will take place at Oak Grove Cemetery, St. Louis, MI. Visitation will be held on Thursday, March 21, 2019 from 4-8 P.M. at the funeral home. Mary was born in St. Louis, MI on December 18, 1934, the daughter of Howard and Vera (Swisher) Howd. She graduated from St. Louis High School with the class of 1952. Mary married Raymond "Ray" Higley on August 8, 1955 in Ithaca, MI. They were married 57 years before his passing on December 29, 2012. Mary was a lifelong resident of the St. Louis area. She enjoyed bowling, gardening and bingo. Mary worked for many years at the Park Hotel until it closed in the 1960s. She then helped her husband Ray operate the Mobile station in St. Louis until it closed. Mary was a member of St. Louis Church of Christ. Mary is survived by her daughter Anna (Bobby) Peter of El Campo, TX, many nieces, nephews, and cousins. She was preceded in death by her parents, husband Ray, 6 brothers: Russell, Marion, Robert, Dale, Nathan, and Dean; and sister Margaret San Miguel. Memorials may be made to Disabled American Veterans - 477 Michigan Avenue, Rm 1200, Detroit, MI 48226 or Gratiot Community Senior Center - 1329 Michigan Ave., St. Louis, MI 48880. Online condolences can be made at www.smithfamilyfuneralhomes.com. The family is being served by Smith Family Funeral Homes, St. Louis, MI.